Heavy-duty construction with durable, colored beveled borders. 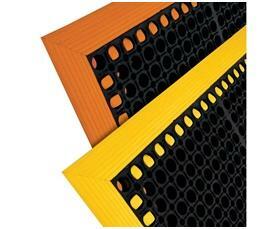 Anti-fatigue matting for wet, greasy and dry environments. 4 sided border pricing shown. Call for 3-sided pricing. Made of grease-resistant black rubber. Mat elevated to drain away fluids. 3-year limited warranty. FOB Shipping Point. 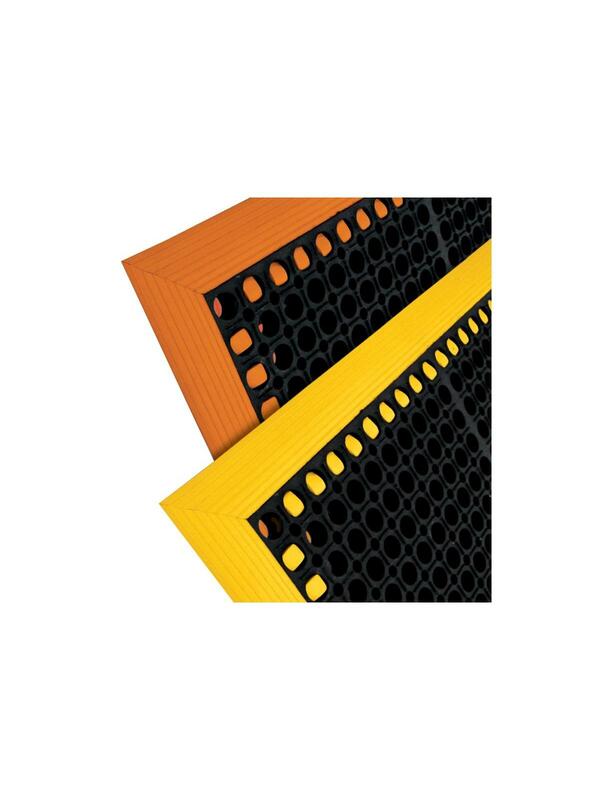 Border color available in Orange or Yellow.